On June 23, the International Olympic Committee (IOC) will inaugurate Olympic House, its new headquarters building in Lausanne, Switzerland, whose construction is nearing completion. The building will allow the IOC to consolidate its staff of more than 500 people, who are currently scattered across several buildings in Lausanne. 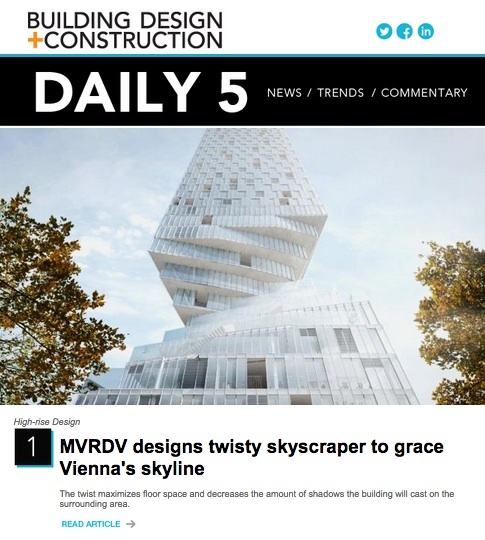 The design of the new building—by the architectural firms 3NX and IttenBrechbühl—reflects the Committee’s values and mission, according to Thomas Bach, IOC’s president. Last week, Bach and Kim Herforth Nielsen, 3XN’s cofounder and Principal, presented a preview of Olympic House to the business press at The Plaza Hotel in New York. 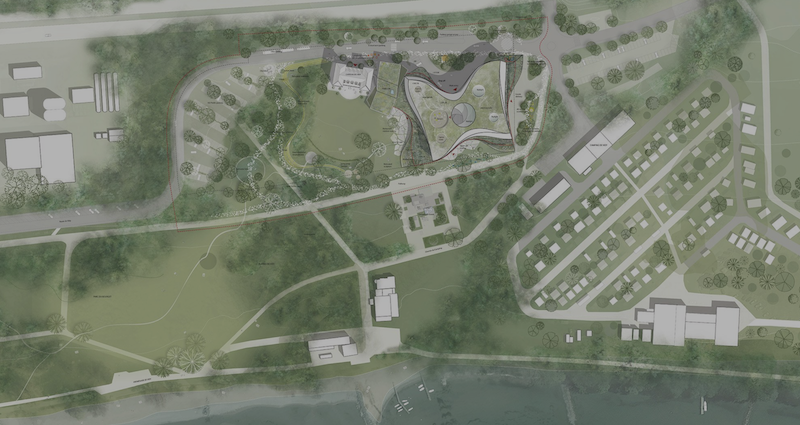 The 145 million Swiss Franc (US$146 million) building, with 22,000 sm (236,806 sf) of usable space, will be located within Louis Bourget Park, one of Lausanne’s largest. Part of the park has been incorporated into the building’s design, whose key objectives correspond with the Olympics’ principles of movement, transparency, flexibility, sustainability, and collaboration. “It’s important to have a story when designing a building,” said Nielsen of Copenhagen-based 3XN, whose design for Olympic House was selected by the IOC Executive Board from 114 entries. For example, the top of Olympic House is shaped, symbolically, like a dove, representing peace. And in the building’s basement will be a sculpture of an olive tree. 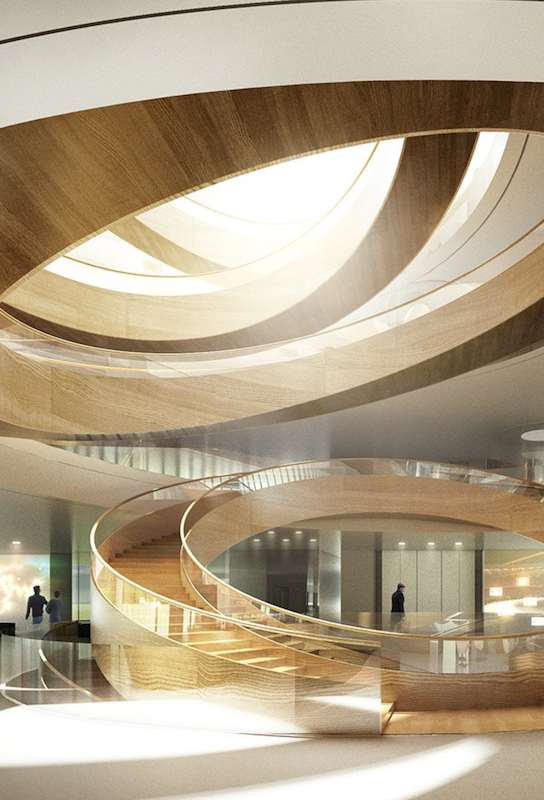 The building façade’s undulating flow pays tribute to athletic movement. The building’s interior—which is supported by only four service cores and 14 pillars—speaks to its structural flexibility. Olympic House is also striving to meet international sustainability standards established by LEED, Minergie (the Swiss energy standard), and SNBS (the Swiss sustainable building standard). IOC is also collaborating with three worldwide Olympic partners: Dow, which is helping the Committee achieve its carbon neutrality goals; Toyota, which is developing a pilot program to install hydrogen stations in Switzerland for vehicles powered by fuel cells; and Panasonic, which is supplying A/V equipment for Olympic House’s meeting rooms. IOC’s investment in this project includes the renovation of Le Château de Vidy, an 18th Century castle located within Olympic House’s public space. Founded in Paris in 1894, IOC has undergone several significant reforms under the leadership of the 65-year-old Bach, a German lawyer and Olympic gold medalist in fencing, who became the Committee’s ninth president in September 2013. These reforms include a commitment to publishing an annual financial report, strengthening the role of its Ethics Committee, and auditing national committees that receive money from IOC. The organization is committed to redistributing 90% of its annual revenue to athletes from developing countries.